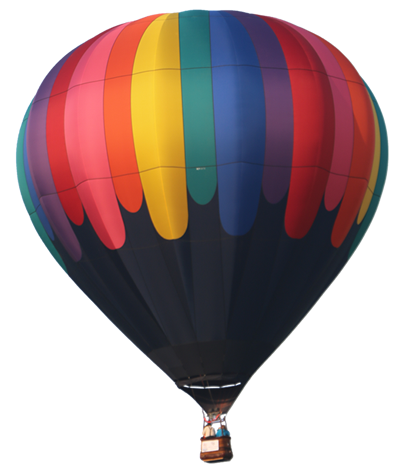 A Hot Air Balloon Glow is when a balloon is inflated at dusk and is kept on the ground. As the sky gets darker, the pilot operates the Glow Burner which makes the balloon light up like a light bulb. The purchase of (1) Ticket includes: entry for 4 people into the Launch Field with limited seating. 4 Pepsi products. Parking for 1 vehicle. 1 Official Balloonfest Souvenir. 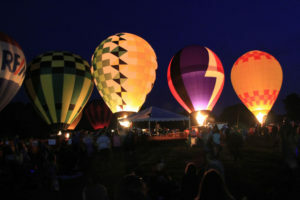 Balloon Glow is weather permitting. No refunds. Ticket purchase will become a tax-deductable donation should weather ground balloons. You can purchase add-on tickets for entry into launch field only. You will need 1 ticket for each person. A ticket is needed for anyone 1 years of age and older for either ticket type (add-on or the 4 pack). Instructions: Show printed/mobile ticket to parking attendant (keep the ticket). Take printed/mobile ticket to Balloon Glow Encounter table near the information tent to receive: coupon for 4 drinks, 1 Official Balloonfest souvenir, and hand stamps for entry for 4 into launch field to watch the balloon glow. You are welcome to bring chairs, blankets, etc.